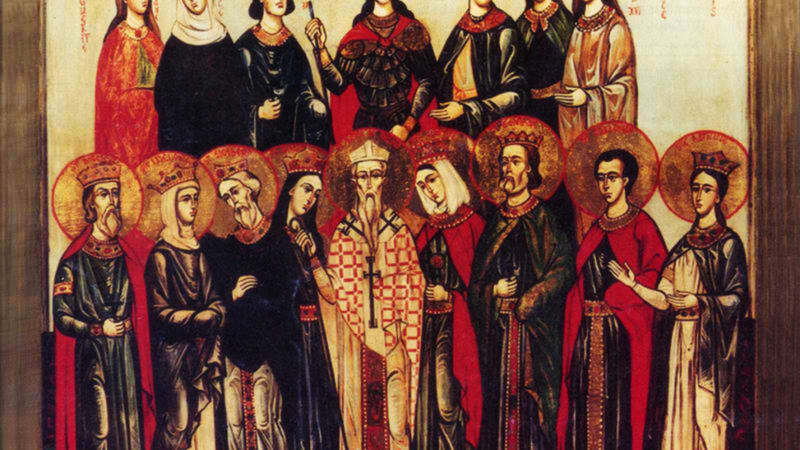 CANTIUS, CANTIAN, CANTIANILLA, and PROTUS (MARTYRS of AQUILEIA), members of the Roman nobility, who fled Rome along with their tutor, St. Protus, and settled in Aquileia, to avoid the Diocletianic Persecution. In Aquileia, the authorities ordered them to make pagan sacrifices. When the four refused, they were summarily executed circa 304. CRESCENTIAN, martyr in Sardinia circa 130, during the persecutions under Emperor Hadrian (r. 117 – 138). LUPICINUS, a Bishop of Verona at some point between the fourth and seventh centuries. St. Lupicinus is called ‘the most holy, the best of bishops’ in early writings which have been preserved in Verona. PASCHASIUS, a Roman deacon, and author of several theological treatises. St. Paschasius reposed circa 512. PETRONILLA, a fourth century Rome maiden and subject of many legends and traditions, some outright false, and others of questionable veracity. St. Petronilla’s cultus dates from the earliest times. WINNOW, MANCUS, and MYRBAD, SS. Winnow, Mancus, and Myrbad were three sixth century Irish saints who lived in Cornwall where there are several churches dedicated to their honour. Nothing further is known of them.